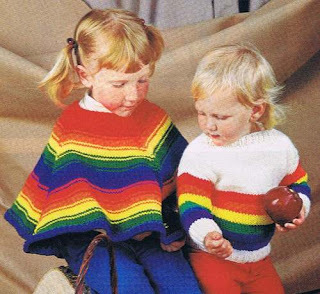 The Gay and Lesbian Poncho-sweater set is particularly adorable. 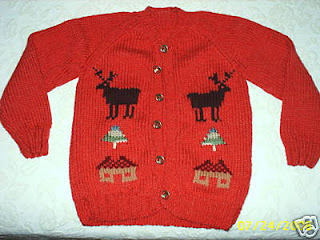 To the untrained eye, this is just another cute sweater someone's Grandma knit for a wee one. For the rest of us, it is a house shooting a pine tree up at a hovering alien elk that is about to attack the planet.